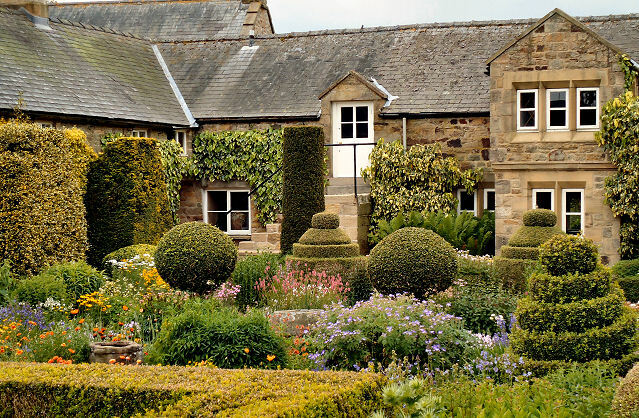 Cambo, Morpeth, Northumberland, NE61 4BN. You can’t mistake the Herterton House when you actually get there. There are two buildings facing the road and it’s obviously the one with the topiary, and very grand topiary indeed. Although there is a small car park at the front for residents there is a main car park for visitors at the back to the right of the house. I say main. Four cars and it would be full but I suspect because of the locality the place never gets full. 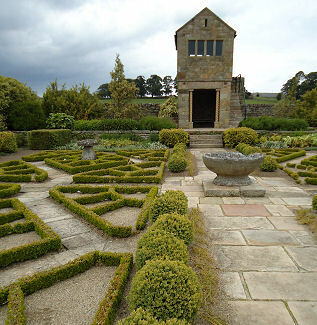 The gardens are approached via the gate with the potting shed. When we went there to pay our dues there was no-one in the shed and we wandered around the gardens for an hour or so completely on our own. Don’t worry. I did pay the gentleman of the house the money on the way out and he kindly pointed to the areas I hadmissed. He also said that if we wanted to buy any plants his wife would dig them up for us from the nursery beds. 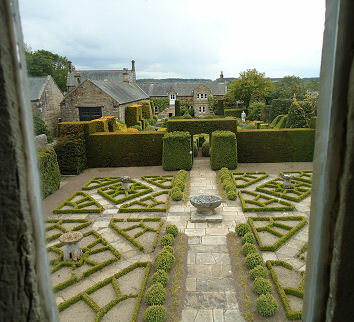 Not only is the garden magically timeless the gardening practices here do not seem to have changed over the centuries. Mind you if you go upstairs into the Gazebo (and yes it is open to visitors) you will find some plans and photographs of forty years or so ago when the gardens where just being laid out by the owners. The gardens are in a bit of an L shape. 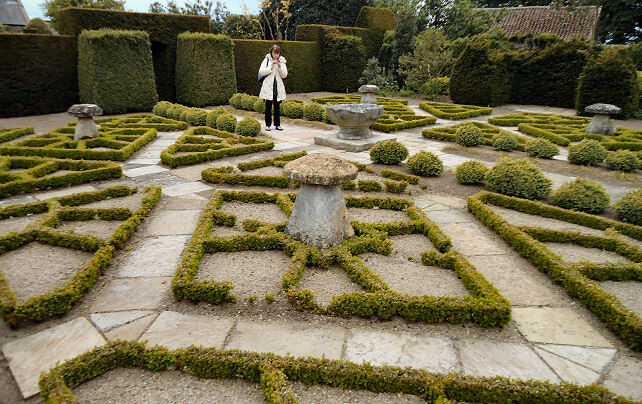 You enter via some nursery beds and then go into a newly laid miniature parterre with gravel and paving and you can rush up the steps of the gazebo to get an overview of the layout. 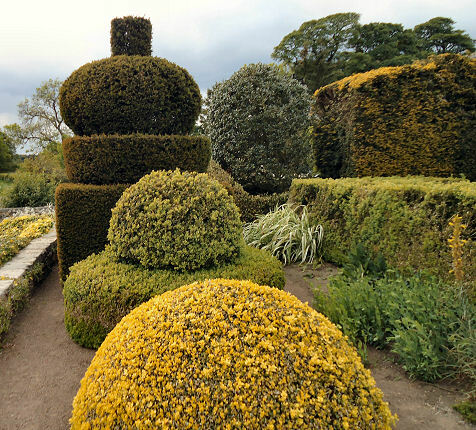 After that you go under a splendid arch into what is known as the flower garden but this has some of the best topiary of all with individual specimens mainly in box, from balls and spirals to large buttresses all flanked with yew hedges. 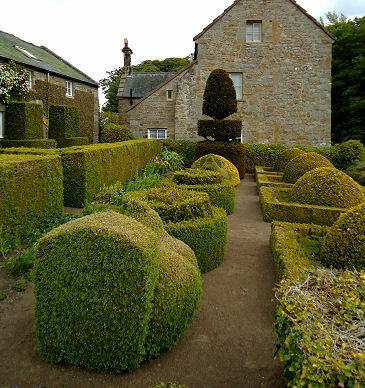 In between the topiary is informal cottage style planting which sets of the specimens well and makes you want to wander around and explore. 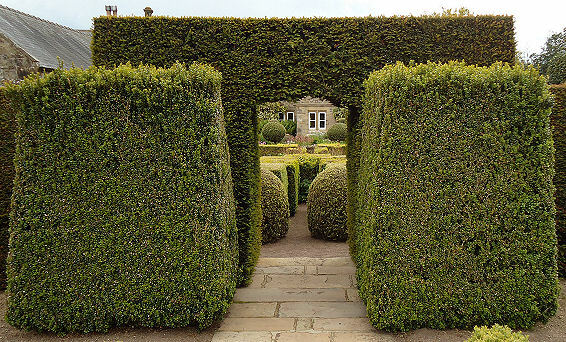 Back onto the main drive and past the outbuildings you come to a herb garden and finally this takes you to the front of the house and is signposted the formal garden although I would suggest that most of the gardens are gloriously formal. 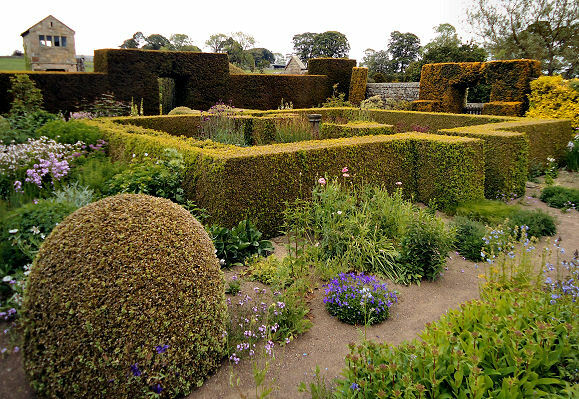 This is a great garden built by two people over lots of time and with great loveand I doubt if they ever think it would be finished if they lived there another hundred years. This is a people sized garden and a plot that anyone would be proud to own and dedicate themselves to keeping up. Go and visit on a quiet day and you could almost feelyourself living there. The United Kingdom too small for you? 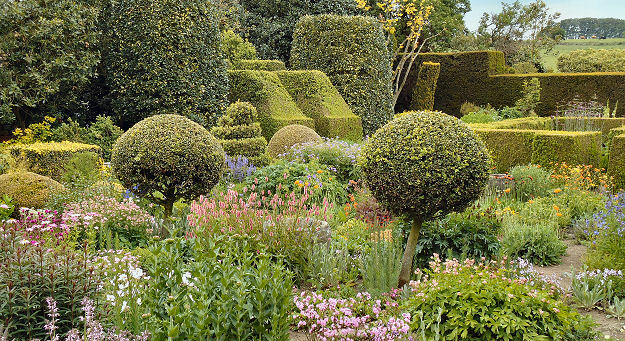 Topiary Today covers the rest of the world including some of those fantastic Italian gardens.